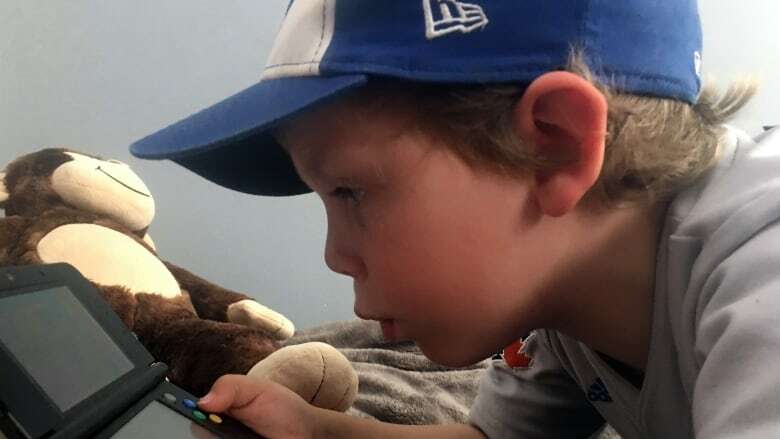 Parents and caregivers of children aged five and younger should not only minimize screen time at home but use it mindfully themselves, the Canadian Paediatric Society says. Parents and caregivers of children aged five and younger should not only minimize screen time at home but use it mindfully themselves, according to the Canadian Paediatric Society. Screen time for children under two is not recommended since there are no documented benefits. For children three to five years of age, limit screen time to less than one hour per day. Avoid screens at least one hour before bed. "Technology and screens are tools. They are not a toy," said Dr. Michelle Ponti, chair of the society's digital health task force. To also mitigate the risks, Ponti, a mother of a seven, 15- and 16-year-old, recommends that families consider setting a "family media plan." The plan can include rules such as no screens at the table and avoid technology in the bedroom. The society also encourages parents to set a good example. "Turn off your screen when you're not using it. If you're at the park, you're at the park. You don't need to answer the email or text right away," Ponti said. She also encouraged families not to leave TV on in the background. In contrast, when adults watch with kids, studies suggest it helps young ones to connect what's being viewed with real life and to build language, attention and memory. Plus, adults can help children to avoid violent or sexual content that's a click or swipe away. Parents should also be aware that studies suggest the bells and whistles of e-books can interfere with how young children learn to understand stories and pick up basic skills such as page turning compared with paper books. Ponti acknowledged that when busy parents need a break, there's room for preschoolers to watch 20 minutes of high-quality educational programs pre-screened by a parent. Brampton, Ont. mom Tina Turner said she tries to monitor use of devices by her children Cayden, 7, Sylas, 4, and Ellyse, who turns two in July. "We find that if they watch a lot of screens, they do become higher energy and cranky and they start to misbehave more." Turner said while books, sports and games are offered to her active children, the draw for her kids is always towards a screen. "First thing in the morning after they get up, they ask to watch TV," she said. "They ask to watch the iPad or play a [video] game." But Turner finds the recommendation of no screen time for those under two to be unrealistic. "There are screens everywhere you go." At his pediatrics practice in Toronto, Dr. Daniel Flanders says the main feedback he hears concerns timing restrictions. "Simply giving time limits, it's not enough," Flanders said. "It's not uncommon when I discuss the time limits with families that the literal response is, 'I'm a terrible parent.' That's actually what comes out of their mouths in response." Cut back on TV and other screen time by a little bit for those watching too much. He says in the U.S. and possibly Canada, the average four-year-old watches four to five hours of TV a day. Model healthier ways to interact with screens. For example, parents shouldn't check their phone during meals.